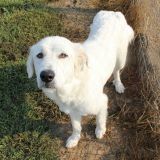 A few weeks after Hurricane Harvey hit Texas, HUA received an urgent message from a friend in rescue whose neighbor was on the way back from Houston with about 30 dogs that were taken from the flood ravaged shelters. 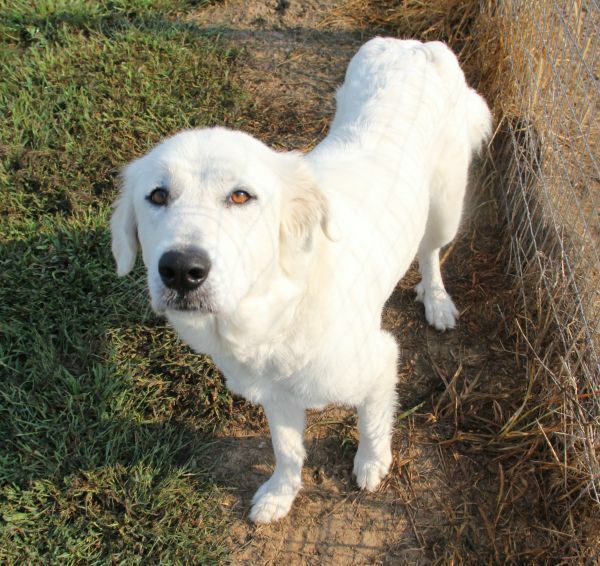 Two of the dogs had tested positive for heart worm disease and had nowhere to go. 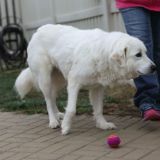 We agreed to take the dogs to provide the treatment needed to eradicate this terrible disease. 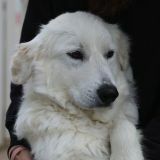 Nimba was one of the poor pups. 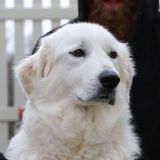 This beautiful and majestic Great Pyrenees is everything we could wish for. 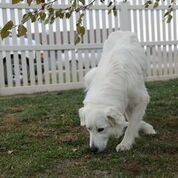 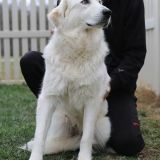 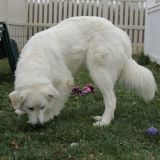 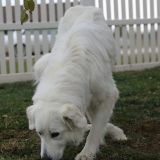 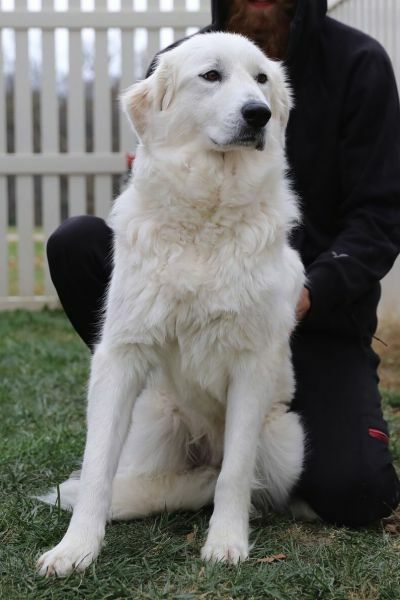 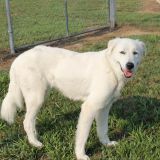 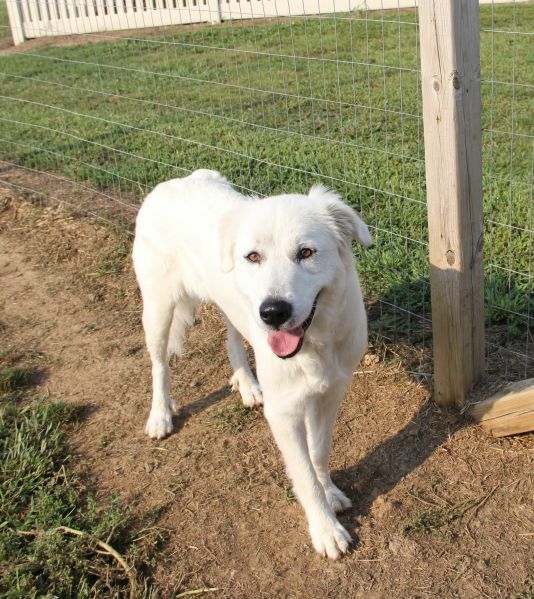 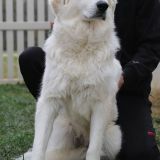 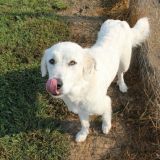 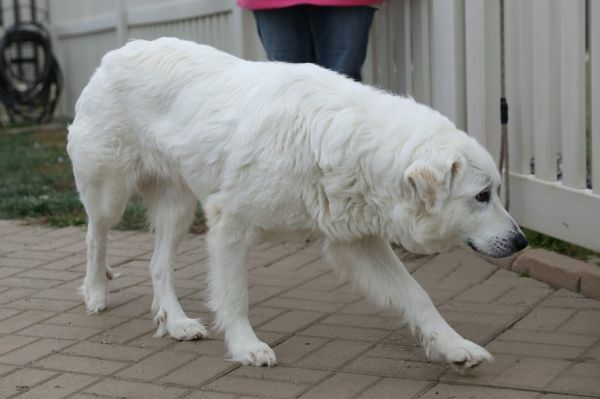 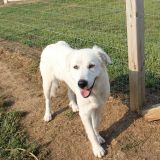 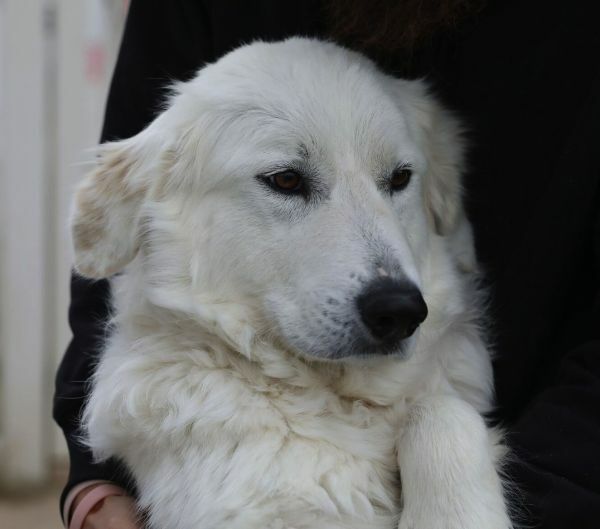 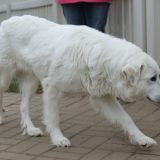 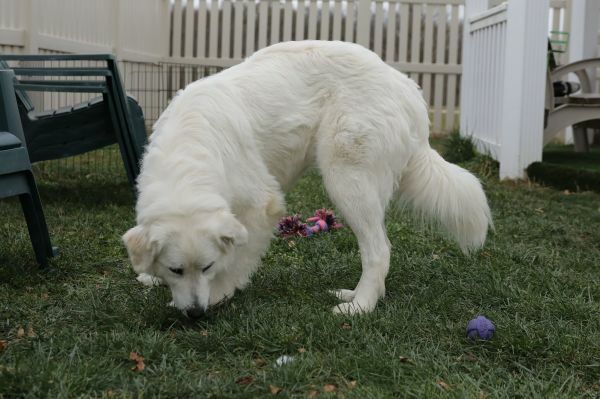 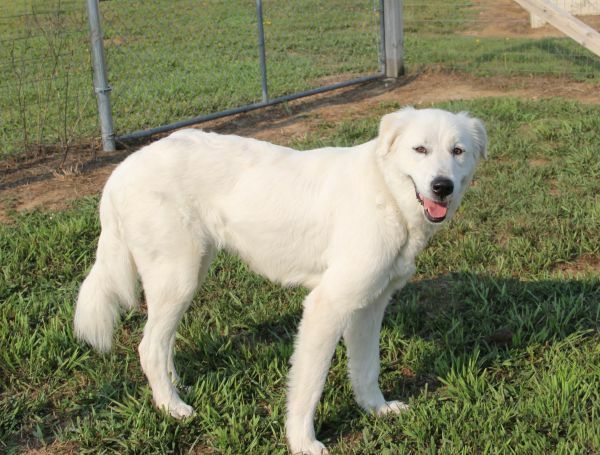 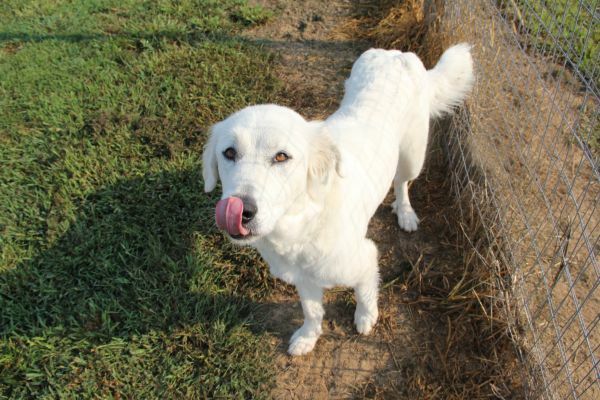 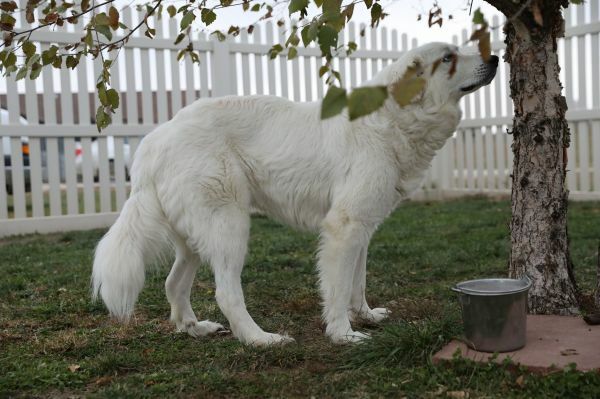 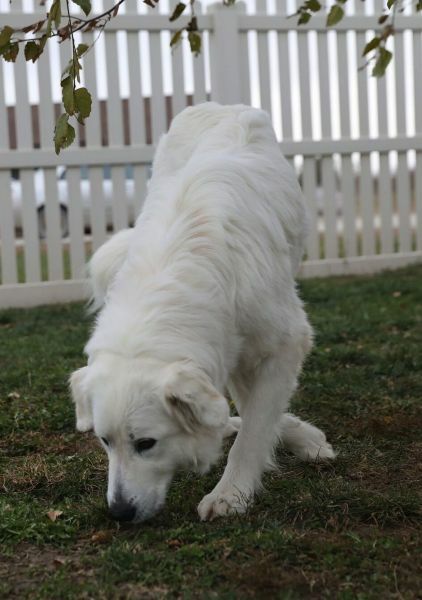 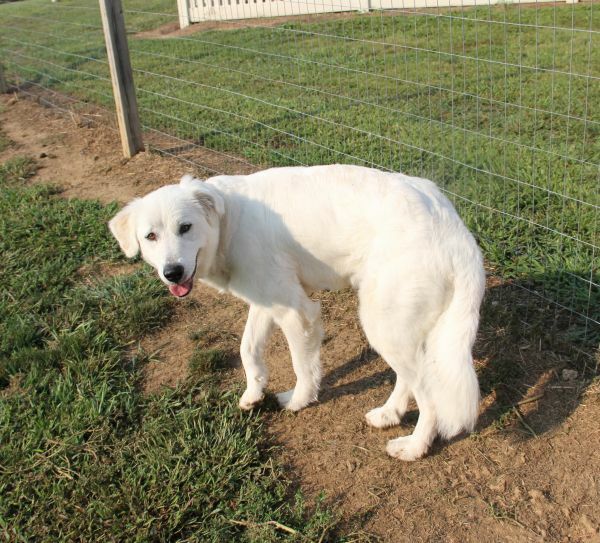 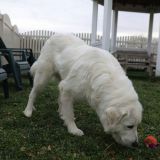 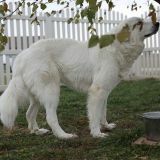 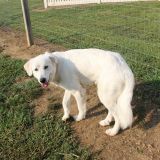 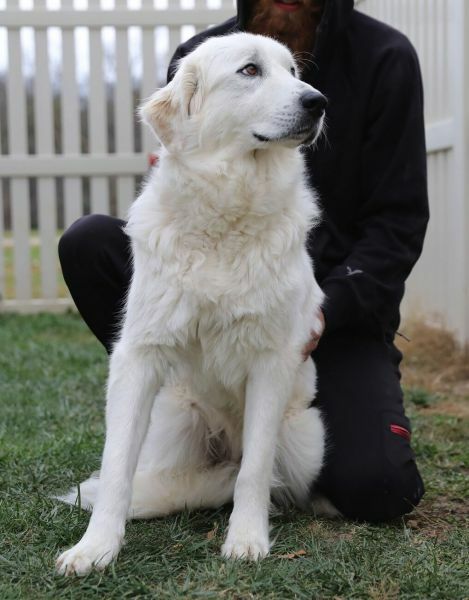 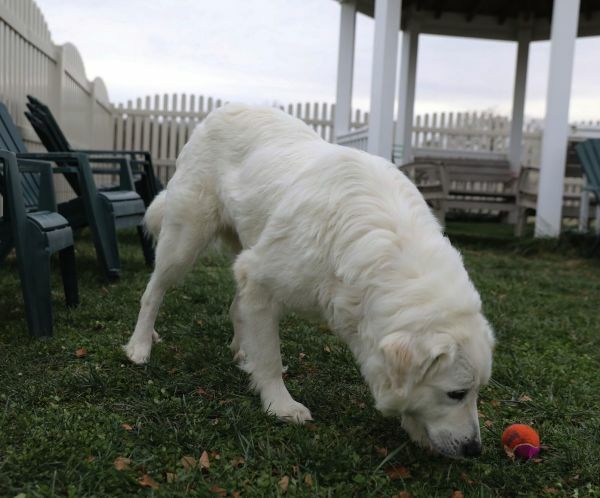 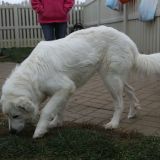 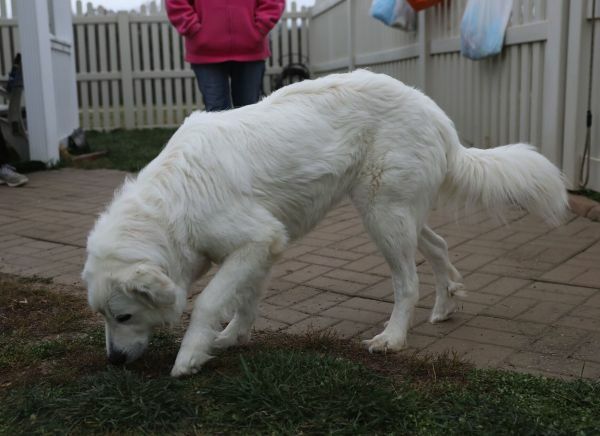 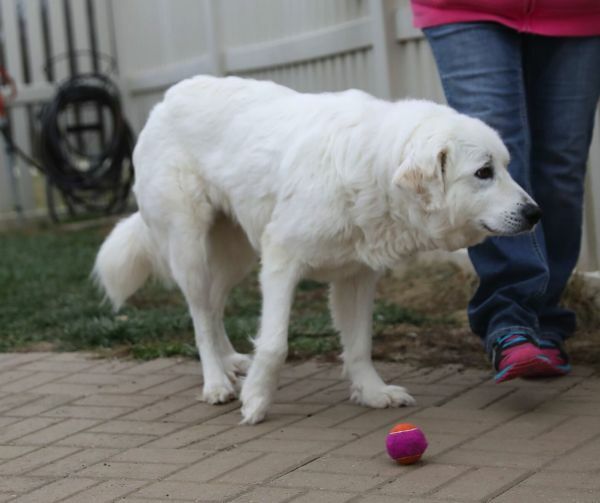 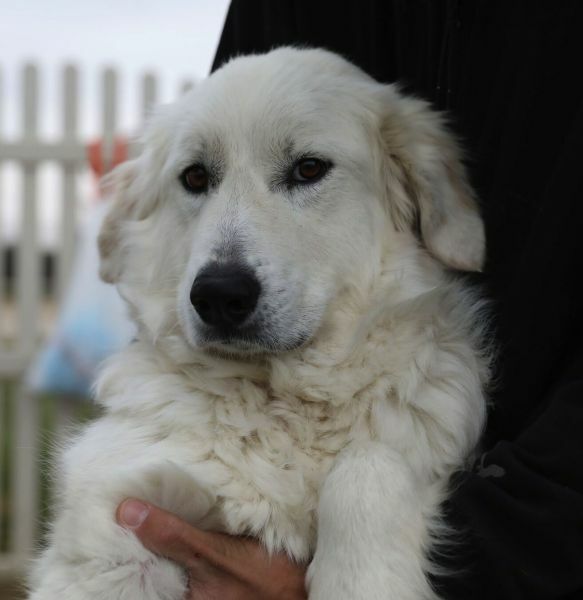 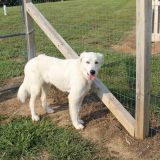 She has the typical Great Pyr personality - loving, sweet, kind, relaxed, and smart. 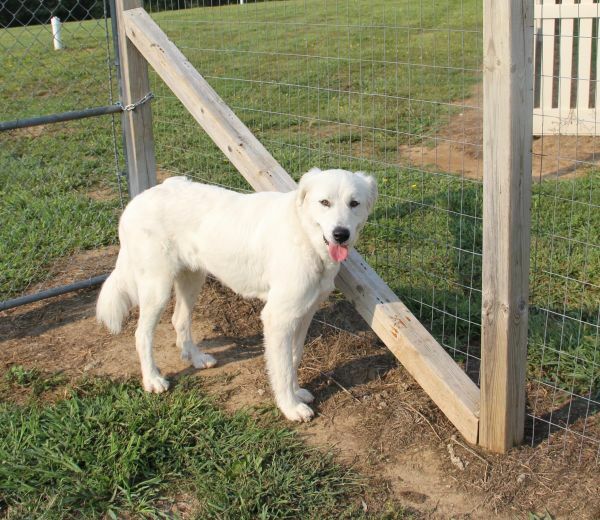 She has endured her heart worm treatments with no complaints whatsoever, and she will be finished in January 2018. 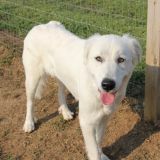 We have told dear Nimba that she is able to go up for adoption now, and she thinks that is the best news ever. 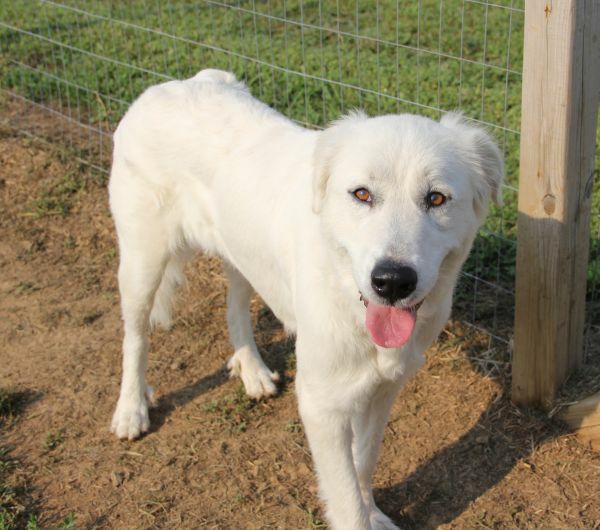 The family that adopts this wonderful girl will fall in love the moment they meet her.